CLOSEOUTS . 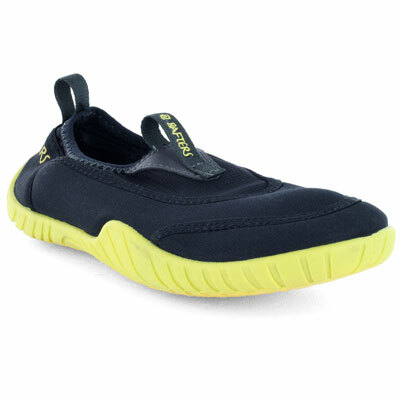 A splash-happy water shoe for puddles, creeks and beaches, Chaco Vitim EcoTread water shoes are made of polyester webbing with a neoprene sockliner, adjustable instep strap and a toe bumper to protect little toes. Available Colors: RAMP, SHARKY, ARGYLE, BELUGA, BLACK, MERMAID, PETUNIA. Sizes: 10, 11, 12, 13, 1, 2, 3, 4, 5, 6. 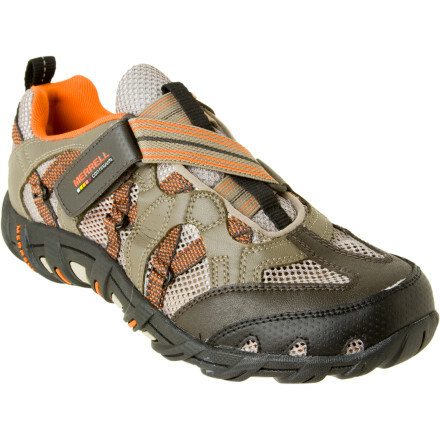 The Boy's Chaco Vitim EcoTread(TM) Shoe combines the protection of a shoe with the easy comfort of a sandal. 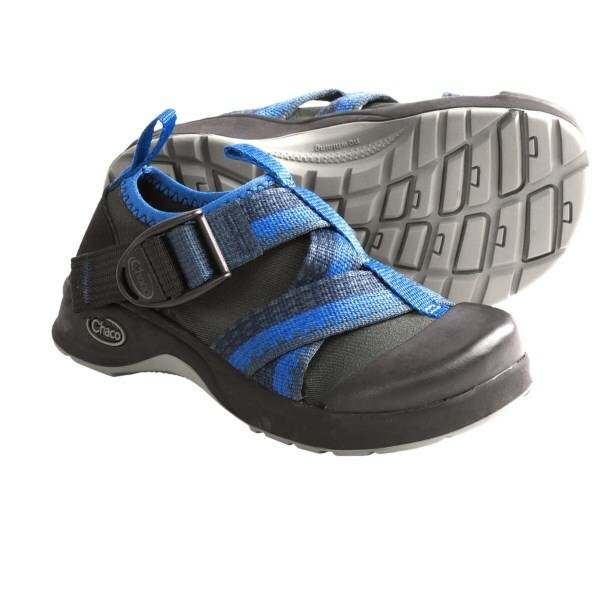 A great summer shoe for the little guy.The lightweight, breathable, quick-drying polyester upper protects young feet from sunburn.Chaco's trademark adjustable instep webbing ensures a secure, comfortable fit. 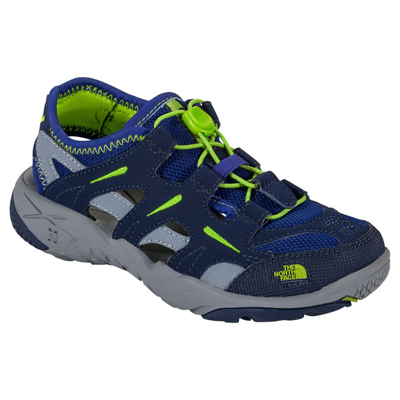 The LUVSEAT(TM)XO2 platform provides comfort and support underfoot.The easy-on-off heel makes this shoe simple for kids to put on and take off themselves. 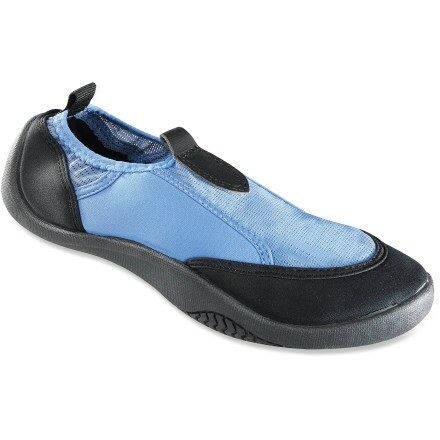 EcoTread(TM) non-marking rubber outsole contains 25% recycled materials. 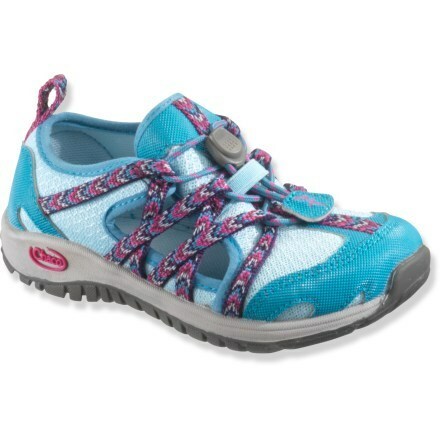 The Chaco Vitim EcoTread Shoe is not available from the stores we monitor. It was last seen December 30, 2015	at Sierra.